We're getting Clocher and Closer to Spring! I thought I would give my new friends and followers a view from the past. 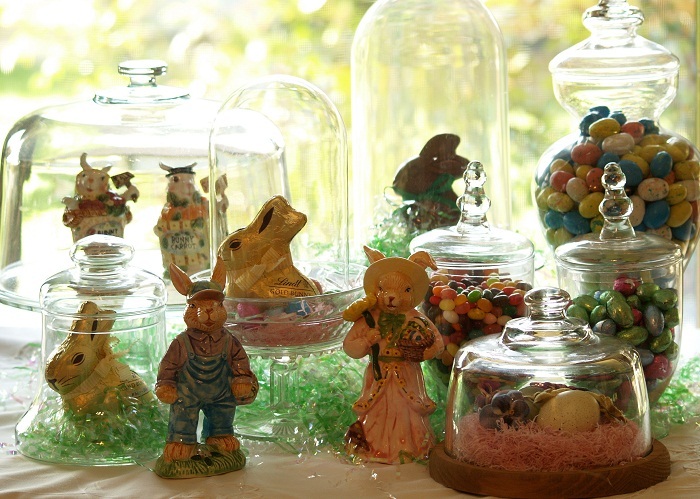 I've joined two previous Spring Cloche parties and this is my third Spring Cloche Party @ Marty's place. I think my photography has improved and I believe I have stayed true to my vision of having fun with blogging. I love putting posts together. I looked back at my first year's photos and remember how much fun it was just learning new techniques and trying different things with photography. As I look back at the Spring cloche party 2010. I remembered I had only been blogging since December 25, 2009. About three months. Oh my gosh. That seems so long ago. The first thing I knew about cloches was that I didn't know what a cloche was. Marty @ A Stroll Thru Life gave me some clues. I looked around the house and I found a few make-shift cloches. And I was on a roll. 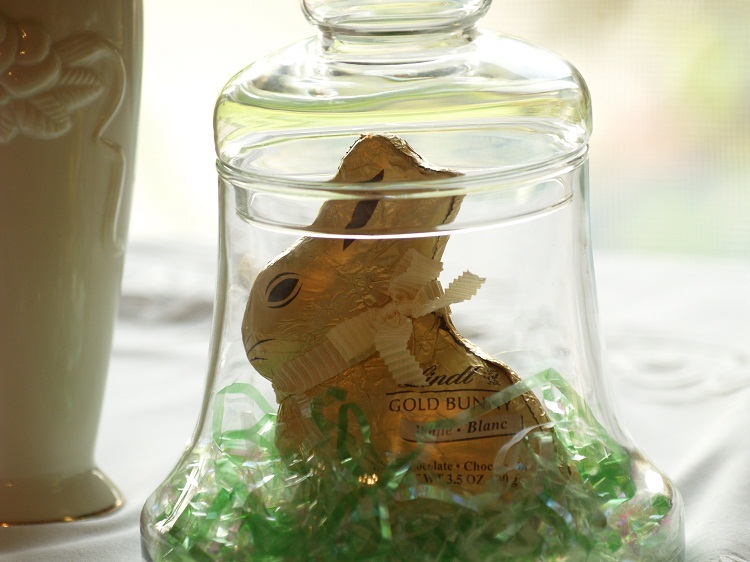 I love Chocolate candy and a Bunny fit into a candy jar just perfect. I found more Cloches around the house. I love to use a cake plate and cover. The girls tea set fit just fine under the lid. 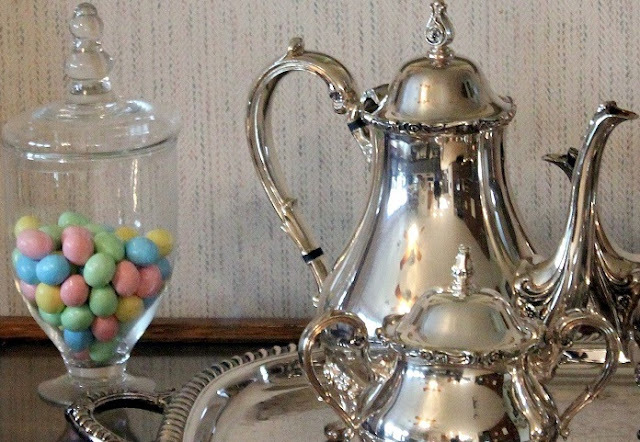 The salt and pepper shakers are under the dome of the Anniversary clock. 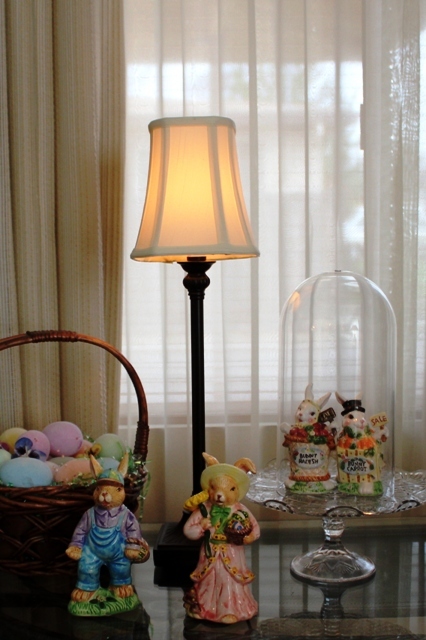 A beautiful bouquet of flowers and a bird in a cloche freshen up My Cozy Corner for March. I'm joining some fun parties this week. 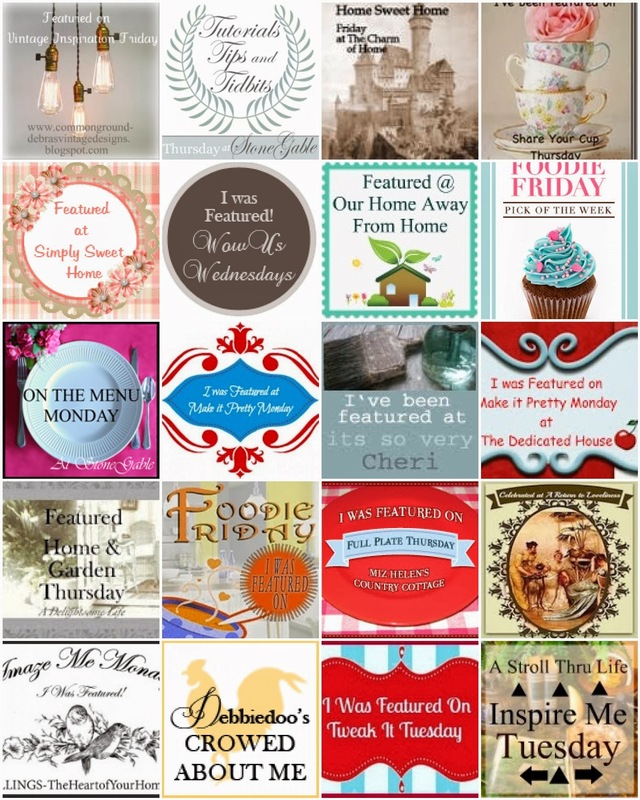 What a great way to enjoy blogging! So beautiful! I love cloche's and can't wait to do a spring one myself! Saw you over at Seasonal Sunday's and I'm following you via GFC now. What a beautiful post. 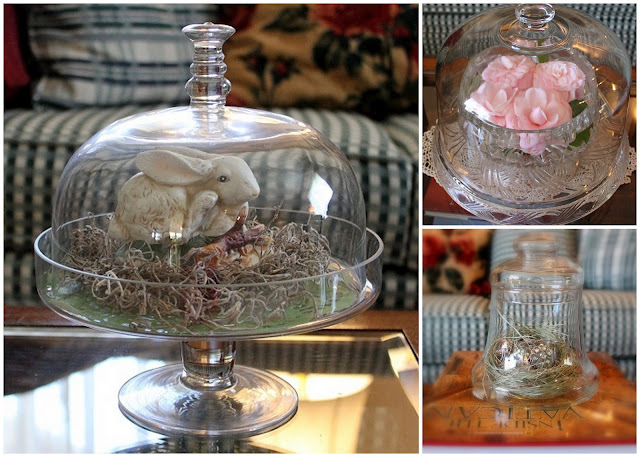 I love cloches too but I only have one so far. Like you I first had to know what cloches were. :))) I saw your name on Seasonal Sundays and I am going to follow you. 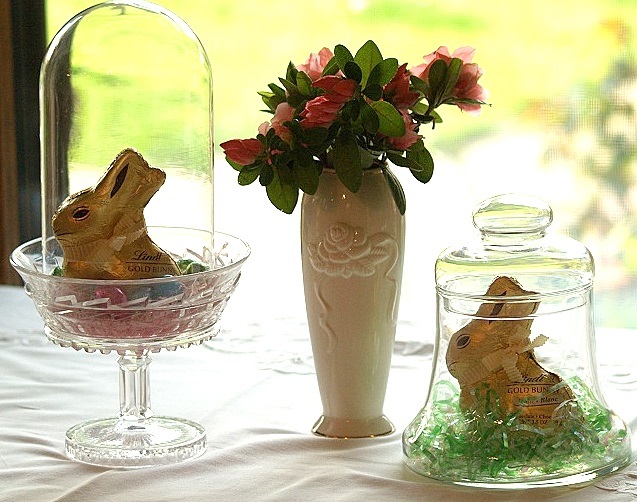 I love the chocolate bunny under glass so much, that I had to pin it with your name. Hey, I have some Depression Glass Sherberts in the shop, I could try that! Even without the cloche they would be pretty. 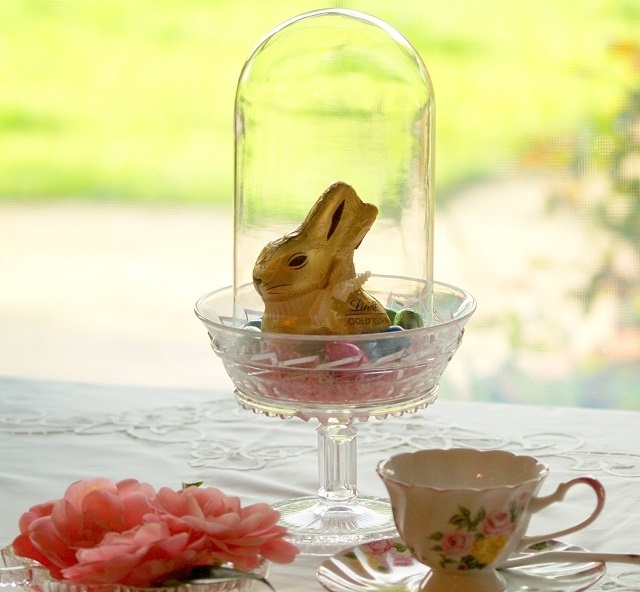 Chocolate Bunny Under Glass....Girl you are too clever! Now that is one way to keep from peeling off that paper and biting off the ears...you did glue the Cloche down...right! Really...so many gorgeous photos and arrangements. 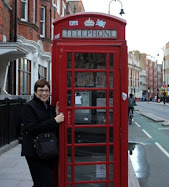 It is great fun to go back and review earlier posts and photos. Thanks for sharing and getting me in the mood for chocolate rabbit ears! Your cloches are darling. Made me smile. What a pretty collection! You're very inventive. 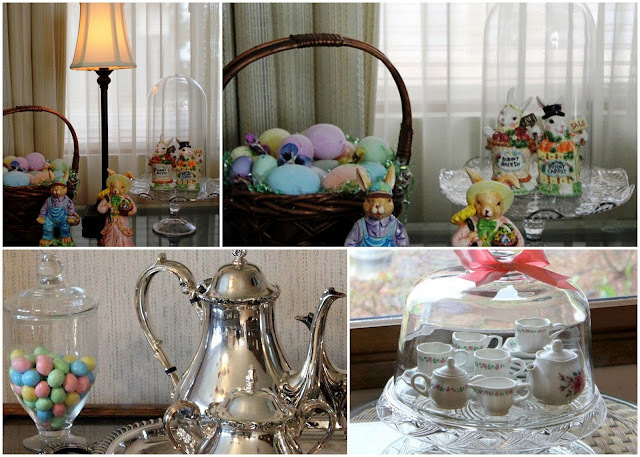 Your cloche vignettes are very spring festive and beautiful! I never thought to use the glass form an anniversary clock as acloche....nice idea! Happy Mosaic Monday! 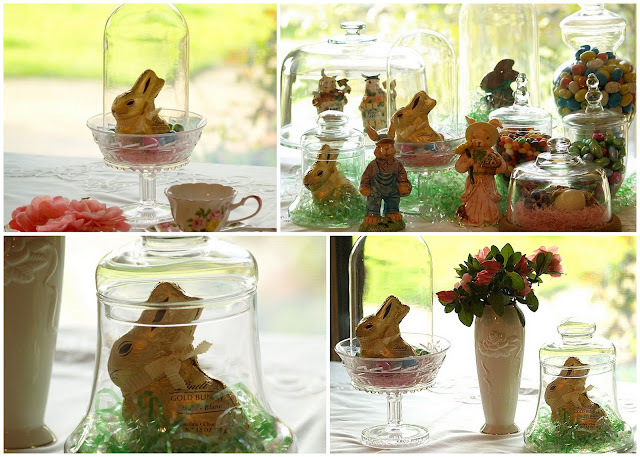 These spring displays under the cloches all look wonderful! Very nice! Cute, cute, cute!! 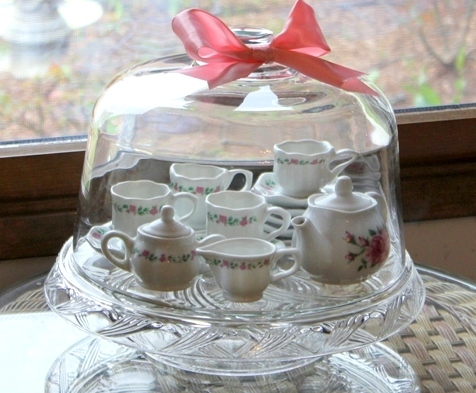 I wish I owned a cloche so I could participate. They are all adorable, but the little bunny scratching his ear took my heart! Lovely collection! I love all of them! Thanks for sharing Joann come follow me back ! Wow, over from Mary's. 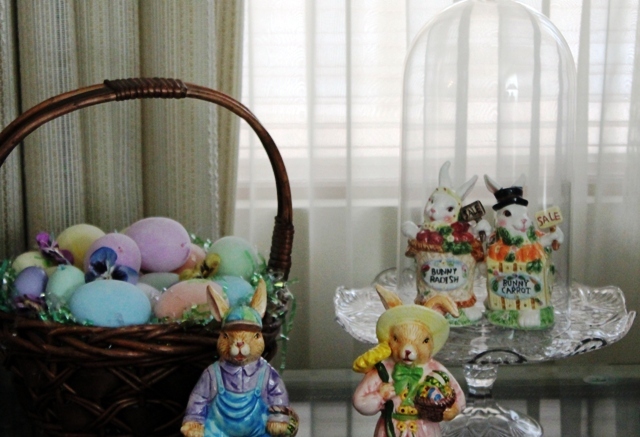 Looking for Easter decor and wow did I hit the jackpot here. I have a few cloches but did not realize the things that work that are not specifically called cloches. A beautiful post. Great post! 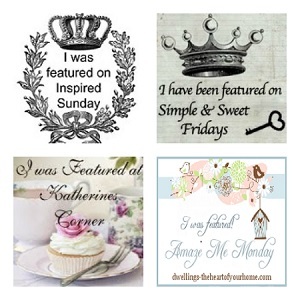 I love all of your beautiful and creative cloches! The bunny ones just tickle me, too cute! I have to admit, since knowing Marty, I've vastly expanded my cloche horizon too! Thanks for being a part of Seasonal Sundays.